These country properties all offer the opportunity for exciting new developments. The main house at Standerwick Court, between Westbury and Frome on the Wiltshire-Somerset border, is made up of two manor houses that were linkedin the 17th century. £4.75m. The beautifully presented interiors of Standerwick Court retain the original character of the building’s different elements. For most vendors of high-value country houses, the timing of their decision to sell is a matter of choice. For others, an unexpected change of circumstance means that this is no longer the case. 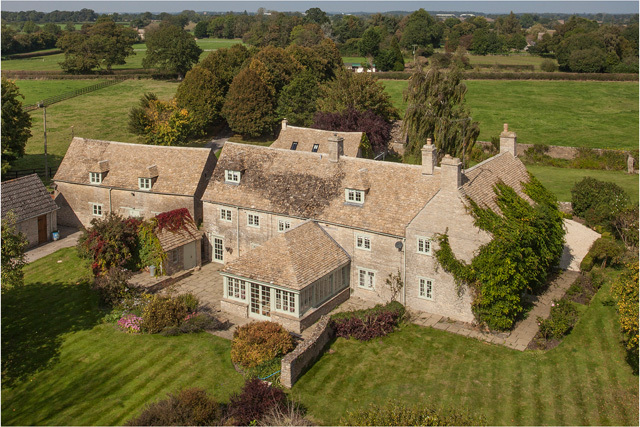 Last week’s late launch onto the autumn market of elegant, Grade II*-listed Standerwick Court, between Westbury and Frome on the Wiltshire-Somerset border, is a rem- inder that even the best-laid long-term plans can sometimes go awry. Set in 761⁄2 acres of mature wooded parkland with magnificent views towards Longleat and Salisbury Plain, Standerwick Court is uniquely composed of two manor houses, one secular and one ecclesiastical, which were linked in the late 17th century. In 1710, the ecclesiastical manor was wrapped in a Queen Anne façade, substantially extending what is often referred to as the Court House, with a 17th-century wing set at right angles to the rear. 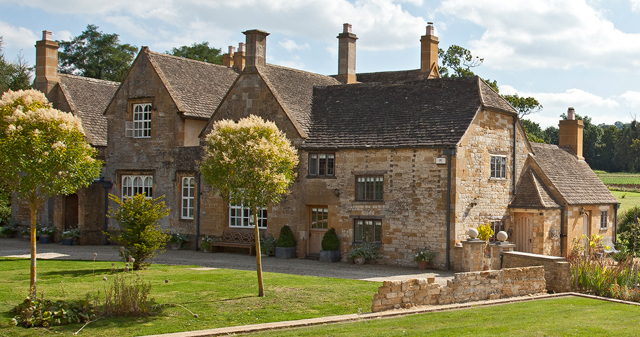 Behind the main house is a wonderfully authentic grouping of historic farm buildings, including a large former dairy, a brew house, a dilapidated stone stable block, a former buttery and an ice house that cries out to be restored and reinstated as an integral part of the main manor complex. That was precisely the ambitious programme that the current owners had in mind when they bought Standerwick Court in July 2012. But they now find themselves heading back to Oxfordshire, leaving it to their successor to revive Standerwick’s historical planning consents and perhaps realise the estate’s development potential as a business headquarters, a small hotel, a holiday-home complex or simply as more extensive family accommodation. Planning consent to build a tennis court within the walled former kitchen garden has been applied for. 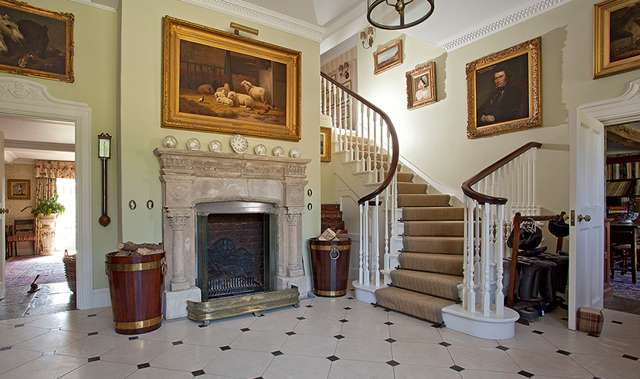 Offered by Knight Frank (01225 325999) at a guide price of £4.75 million, Standerwick Court is steeped in history. Not only has the site been occupied by Celts, Romans and Normans, but Henry IV’s treasurer also lived at the manor for some time. He is said to have improved and re-routed what is now the A36, redirecting it through the estate in order to extract a toll from travellers. The 1710 house was built by Admiral Edgell, whose descendants succeeded him as principal landowner in the 18th and 19th centuries. Internally, the house reflects the grand symmetrical proportions of its early-Georgian exterior, with its fine ceiling cornices, working shutters, ornamental mouldings, panel- ling, marble fire surrounds and magnificent mid-18th-centuryoak staircase. 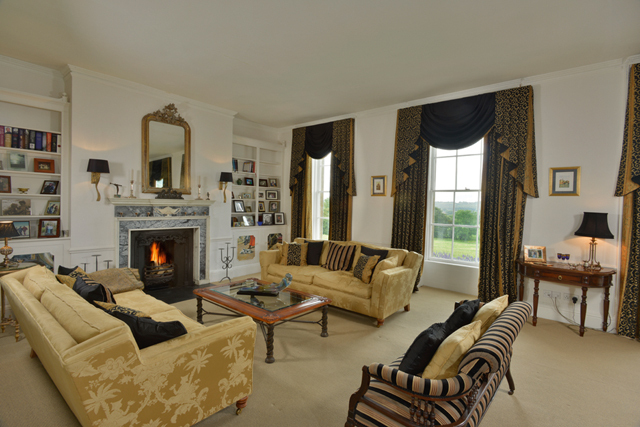 The main reception rooms include a splendid drawing room with southerly views, a spacious dining room and a study, linked by entrance and staircase halls, plus a double-height family room, a garden room, a kitchen/ breakfast room, master and guest suites, eight further bedrooms, four bath/shower rooms and a staff flat. Hailes Manor near Winchcombe, Gloucestershire, has an impressive Georgian reception hall. £3.85m. Also for sale through Knight Frank (020–7861 1707), at a guide price of £3.85m, is the recently restored, Grade II-listed Hailes Manor, which sits in 37 acres of gardens, grounds and woodland in an idyllic location just north of the ancient Saxon town of Winchcombe, Gloucestershire, between Cheltenham and Moreton-in-Marsh. Historically linked with the former great Cistercian Hailes Abbey, founded in about 1246 by Richard, Earl of Cornwall, in thanksgiving for having survived a shipwreck, Hailes Manor was granted to Cornwall by his elder brother, Henry III. The earliest part of the house is thought to date from the 14th century, contemporary with Chaucer’s mention of Hailes in The Pardoner’s Tale. During their five-year tenure, the current owners of Hailes Manor have had the classic, 5,546sq ft Cotswold house re-roofed, re-plumbed and rewired throughout. Its many original features include magnificent stone fireplaces and cornicing. Of particular note is the impressive Georgian reception hall, with its double-height ceilings, open fireplace and sweeping staircase. The interior of Hailes Manor near Winchcombe, Gloucestershire. Much of the ground floor is laid with flagstone floors, all of which have been lifted, treated and cleaned. Some of the older rooms have exposed beams and bespoke bathrooms have been fitted throughout the seven first-floor bedrooms; a studio annexe provides additional open-plan accommodation. And should a new owner wish to extend the amenities on offer, there is planning consent to create an outdoor swimming pool and convert two stone barns to provide extra accommodation. Finally, should anyone want to go the whole hog and create a new Wiltshire equestrian estate in the heart of the Vale of the White Horse and the Duke of Beaufort’s hunt country, Morley Farm at Eastcourt, five miles from Malmesbury and a similar distance from Kemble station (London to Paddington from one hour and 18 minutes), comes with outline planning consent to rebuild, extend or alter the existing five-bed- room farmhouse, which is unlisted. Morley Farm at Eastcourt, Wiltshire. £3.5m. Savills in Cirencester (01285 627558) quote a guide price of £3.5m for the compact, 89-acre holding of pictur- esque pasture land, interspersed with hedgerows and a number of woodland copses.  The existing equestrian facilities include barn stabling for 12 horses, a horse-walker, tack and feed rooms, two further barns with planning consent for conversion to residential use and five further stables.